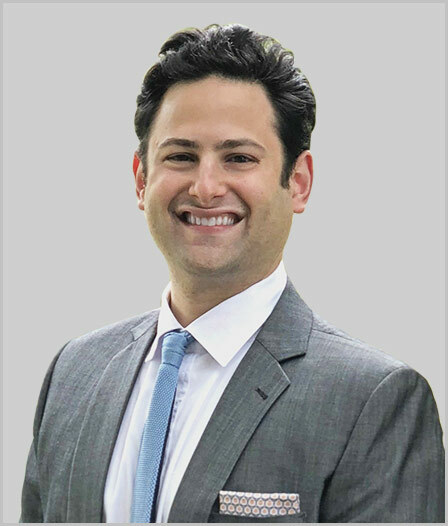 Dr. Jeremy Epstein is a compassionate, award-winning, double board-certified, Harvard fellowship trained Interventional Pain Management Physician and Anesthesiologist. 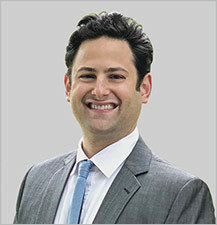 After completing his anesthesiology training at the prestigious Georgetown University Hospital in Washington, DC; Dr. Epstein completed his fellowship at Harvard’s premier pain fellowship at Beth Israel Deaconess Hospital in Boston under the tutelage of distinguished nationally known pain medicine faculty and innovators. During his training, he had the honor of presenting at several national conferences including the American Society of Regional Anesthesia (ASRA) and at the American Academy of Pain Management (AAPM) on a variety of medical topics related to anesthesia and pain management. Dr. Epstein has received extensive training and specialization in a variety of painful conditions including: neck/back/spine pain, failed back/post-laminectomy syndrome, vertebral fractures, palliative care, headache/migraine pain, facial pain, joint/knee/shoulder/hip pain, cancer pain, nerve entrapments, neuropathy, abdominal pain, pelvic pain, acute & post surgical pain syndromes, fibromyalgia, and complex regional pain syndrome (CRPS). As an advocate for timely, and compassionate patient care, Dr. Epstein’s primary goal is simple: to provide his patients with comfortable, personalized, safe, and effective interventional spine and pain management treatment options. Furthermore, he seeks to minimize pain, improve daily function, and quality-of-life. Utilizing a comprehensive and multi-modal approach to pain management, Dr. Epstein is an expert in cutting-edge treatments including Botox, ultrasound and fluoroscopically guided therapies, radiofrequency ablation, kyphoplasty, and spinal cord stimulators. Additionally, Dr. Epstein is delighted to join the Dallas, and greater Texas community along with his wife, a registered nurse. In his spare time, he enjoys spending time with his wife, travelling, cooking, and exploring the great outdoors. Epstein JM, Gill JS, Almalki M.
Epstein JM, Hannallah MS, Krochmal R.
Satpathy, J; Owen, JR; Jani, J; Epstein, JM; Wayne; Jiranek; Hull. Departments of Orthopaedic Surgery and Biomedical Engineering. Epstein JM, Miller G, Taylor C.